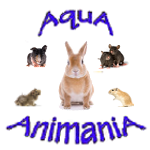 AquA AnimaniA is your #1 local source for a wide variety of small animals, pets, fish, amphibians and reptiles and more! To properly care for your pets, we also carry a comprehensive and extensive line of pet supplies including equipment, foods, treats, aquariums, tanks, cages, supplies and toys for dogs, cats, birds, small animals, amphibians, reptiles, fish, exotic pets and critters. To properly care for your pets, we also carry a comprehensive and extensive line of pet supplies including equipment, foods, treats, aquariums, tanks, cages, supplies and toys for dogs, cats, birds, small animals, amphibians, reptiles, fish, exotic pets and critters. We can also locate other pets, products and supplies from our vast network of national and international partners and suppliers.